Ahimsa is a four-piece world music ensemble based in Germany, India, Italy and France. Seamlessly weaving guitar, double violin and Bass & Drums, their music is a captivating fusion, masterfully blending traditional Indian Carnatic music with elements of western classical music and jazz. The group grew out of a chance meeting in 1999 of Munich-based guitarist Matthias Muller and South Indian violinist S. Radhakrishna, which blossomed into friendship, mutual admiration and eventually a musical partnership. With the addition of two ace Indian percussionists and a bassist, the line-up of Ahimsa was born, and their two albums to date, ‘Seven Steps to Liberty’ and ‘What is the Nature of Spirit?’ have acquired broad critical acclaim. Ahimsa in Sanskrit denotes non-violence and compassion for all beings. In Ahimsa’s fiery compositions, the complex rhythmic structures and raga improvisations of Carnatic music are extemporaneous, yet meticulously balanced with the harmonic diversity of western classical music and the unlimited expression of jazz. The band creates daring and compelling explorations, their musicianship is superb and their live performances are incendiary. Attesting to their dazzling virtuosity, the band’s individual members have collaborated with a veritable who’s who of modern music-from Pandit Ravi Shankar, John McLaughlin, Shawn Lane, Dr. L. Subramaniam to Bireli Lagrene and Pandit V.M. Bhatt-to name just a few. 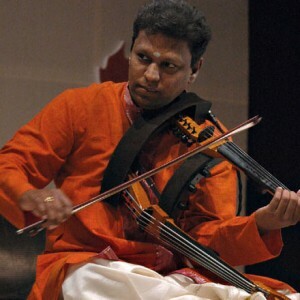 Radha who holds a Masters degree in Indian Music has played violin since he was eight years old. At age 13, he won first prize in a national Indian violin competition and was bestowed with south India´s coveted Krishna Gana Shabha Award for young performing artists. He went on to study under violin maestro M. Chandrasekaran. Recently he was honored with the Kanchi Kama Koti Peeta Asthana Vidwan award, a prestigious honor for musicians in south India. Radha is a highly versatile player, adept at classical music as well as jazz. He plays the rare, unique and stereoscopic ten-string double violin – and is one of a handful of professional players around the world playing the instrument. His unusual style and improvisational genius have graced stages alongside the likes of Pandit Ravi Shankar, Anoushka Shankar, Jonas Hellborg and V. Selvaganesh, in such prestigious venues as Disney Concert Hall in Los Angeles and Carnegie Hall in New York, among others. Radha has recorded with John McLaughlin, Ustad Zakir Hussain and mandolin wizard U. Srinivas, and does extensive work for films. He has participated in several jazz, folk and world music festivals across the globe. Matthias is a graduate of the College of Music at Sulzbach-Rosenberg, and studied classical and jazz guitar as well as composition and arranging at the Munich Guitar Institute and the Grove School of Music in Los Angeles. Over the several decades of his musical career, he has toured internationally and played in many styles; he frequently composes music for film and television. Matthias’ compelling interest in Indian classical music led him to study Carnatic Music (South Indian style), affording him opportunities to play and collaborate with some of the finest Indian players of our time, such as Dr. L. Subramaniam, Sivamani, Tanmoy Bose, Bickram Gosh, Debashish Bhattacharya and world music Grammy Award winner Vishwa Mohan Bhatt. Dominique started his career in 1982 at the Hot Club in Lyon with guitarist Michel Pe?rez. In 1986 he moved to Paris and began touring with violinist Didier Lockwood, drummer Andre? Ceccarelli and pianist Gordon Beck. The following year he toured Europe with Gil Evans and the Big Bang Lumie?re de Laurent Cugny, a group that was immortalized on the Santander album, winner of the Prix de l’Acade?mie Charles?Cros and in 1989 he recorded a trio album called Padre, with Jean?Pierre Como and Ste?phane Huchard. The same year, Dominique recorded with pianist Michel Petrucianni on the album The First, with Michel’s brother Philippe Petrucianni on guitar and Victor Jones on drums. In 2000, the Front Page Trio was created with Bireli Lagrene on guitar and Dennis Chambers on drums. They toured Europe and released a self?titled album (Frontpage) that scored them a Victoire de la Musique award for Best Jazz Album of 2001. 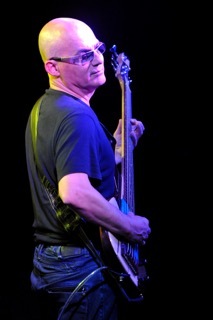 2008, John McLaughlin called upon Dominique’s talents once again for a European tour with The 4th Dimension, also including Gary Husband on keys and percussion, and Mark Monde?sir on drums. Together the band played more than 30 concerts all across Europe and released a DVD Live @ Belgrade. Another show featured Dominique with McLaughlin in India, in a group called The Floating Point, which included Ranjit Barot, Louis Banks, Shashank, Naveen Kumar and Shankar Mahadevan. Andrea Marchesini started playing drums at age 14. After a short period of music and drumming theory and practice at the “Small Conservatory” Nuova Milano Musica in Milan, Andrea moved to New York (’84) to continue his studies and give it a try in the Big Apple. He studied at Drummer’s Collective with Kenwood Dennard, Frankie Malabe, Kim Plainfield, Robbie Gonzalez, Steve Gadd, played in dozens of rock (CBGB’s, The Bitter End, Kenny’s Castaways) and jazz clubs (Mikell’s, Visiones, Village Gate, 55 Bar), recorded commercials, demos, albums and CDs, took part of TV shows and theater plays (among the different “projects”: Robert Secret, Round Trip, Chris Joannou Quartet, and the show Red House and a Europe tour in ’85).In ’87 & ’88 he put together his own band and repertoire and presented it to the East Coast with a short tour, bringing then everything into a studio and recording his first “solo” CD (1990) Back To Europe, with the partecipation of producer Hiram Bullock, guitarist Mike Stern, and bassist – producer Jonas Hellborg. Ever since he has worked with many different local projects (among them a comedy-theater-music show with Luca e Paolo in ’98, and his fusion quartet Ben’s Pizza and a Liguria tour in ’99) and slowly re-built a career wich peaked during important collaborations with italian pianist Antonio Fara, with guitarist Alessio Menconi, and internationally acclaimed artists Jonas Hellborg (bassist formerly with Mahavishnu John McLaughlin) together with monster guitarist Shawn Lane withwhom he completed their first and only India tour in 2003. Andrea played on the debut EP of the german band “All Tigers Bite”, on Matt Balitsaris CD “Evening Fires”, and on the first LP by the group S’Go called “Abbreviated”, has taken part to many festivals in Italy, USA (New York – Lincoln Center), and India (Kolkata and New Delhi); since 2000 he is also very active on the teaching front, both privately and in the best schools in his native Liguria. He has also collaborated with Emanuele Cisi, Claudio Capurro, Bob Bonisolo, Steven Antonelli, Stefano Calcagno, V. Selvaganesh, Luca Pasqua, Gianni Serino, Stefano Guazzo, Barbara Raimondi, Andrea Pozza, Billy Martin, and played in jam-session with Riccardo Zegna, Dado Moroni, Flavio Boltro, and Jaco Pastorius. 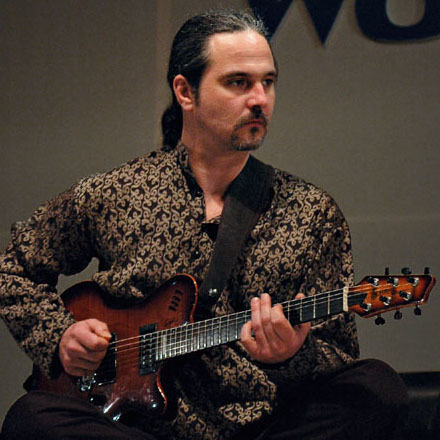 In more recent times an India Tour (8 concerts in the North-East) with his trio “Dif-Fusion”, with Alessio Menconi and Pippo Matino and consequent live CD “Concert in Shillong” (2004), a short tour in France with Jonas Hellborg and Neyveli S. Radhakrishna (ethnic carnatic fusion; 2005), a short tour in Liguria with londoners Terry Pack and Phil Hudson (jazzy songs, instrumentals, originals; presentation of Terry Pack’s solo CD; 2006). 2009 and 2010 witness the birth of Black Batik, a new quartet (fusion & jazz originals) by Andrea with concerts in Liguria. Then again local shows with DOC-G, several long-term contracts at Bar AmÈricain – Hotel De Paris, Monaco – Montecarlo, with Alessandro Collina Trio and VicK (international entertainment repertoire). Since 2010 andrea steadily performs with Andrea Celeste Quartet (pop & jazz songs, originals; drumming on 2 tunes of the 2012 CD “Something Amazing”) and occasionally with BassVoice Project (Silvia Barba, Pippo Matino, Joe La Viola). 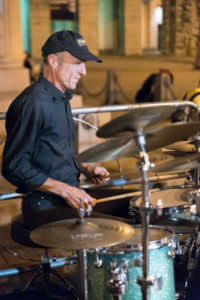 Morgan Ågren has been a drummer since age four and a Grammy winning musician on both sides of the Atlantic. Born in Umeå, Sweden in 1967, Mr. Ågren was spotted as an outstanding talent at a young age as he began performing publicly at age seven, and eventually joined forces with ten year old blind keyboardist Mats Öberg in 1981. In 1988, still around their late teens, Morgan and Mats got invited to play with Frank Zappa for a few different projects in the US – just before Zappa passed away. While some of the Zappa influence remains, Morgan and Mats have long since found their own voices. In the mid 90’s, they began releasing CDs on Morgan’s label Ultimate Audio Entertainment, eventually forming a stable band, which has amazed audiences in Europe, Asia and the USA since 2001. With superb playing ability, the Mats/Morgan Band is a well-honed, cohesive unit, arriving at its own voice in progressive jazz/rock. Mats/Morgan Band is an absolutely monsterous band who await the world’s discovery! Morgan have climbed the readers polls in various drum-magazines recently. 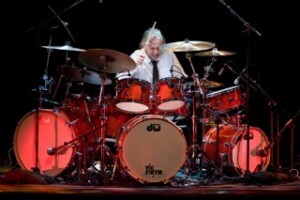 In 2010 Morgan was voted No.1 in Modern Drummers readers poll in the category “fusion”. Morgan has also played with Devin Townsend, Squarepusher, Bill Laswell, Steve Vai, Trey Gunn, Henry Kaiser, Fleshquartet, Fredrik Thordendal (of Meshuggah), Karmakanic, Spoonman, Glenn Huges, Tony Iommi, Terry Bozzio, Mike Keneally, Denny Walley, Kaipa, Bolon Bata, Dweezil Zappa etc. From a very young age, Yoga was trained in mrudangam — the main South Indian drum — by his father, A.S. Ramanathan. He went on to further his education at Annamalai University in Chidambaram, India. 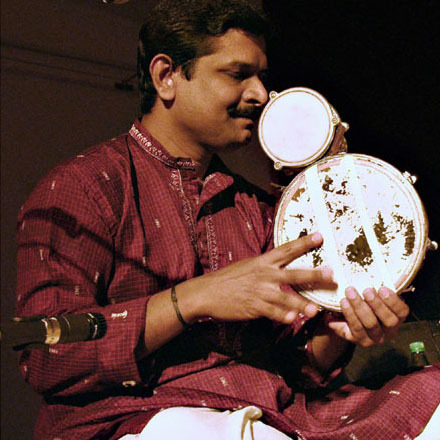 During that time he adopted and mastered playing other indigenous percussion instruments, including tabla; the kanjira – a small South Indian frame drum of the tambourine family, with a huge range of pitches; ghatam, the clay pot and the mosring, a traditional south Indian mouth harp, as well as diverse African and Latin American percussion instruments. Yoga´s instrumental diversity and unique playing style have attracted some of the world´s greatest musicians. He has accompanied maestro Yehudi Menuhin, Stephan Grapelli and Dr. L. Subramaniam, among many others. He has performed around the world in major concert halls and at numerous events with the London Philharmonic Orchestra. Powered by WordPress v 5.0.4. Page in 0.091 seconds.